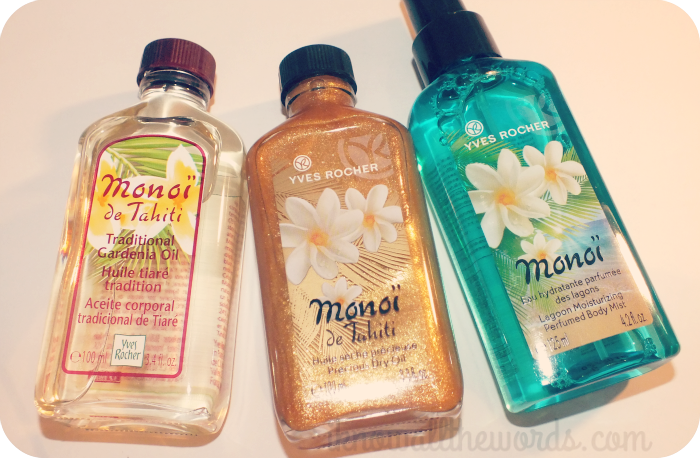 When I was little, I used to 'help' my mom get ready by keeping an eye on her bottle of Yves Rocher Monoi (aka Tahitian Gardenia Oil aka Tiare flowers.) It used to be solid at room temperature, so she'd warm it in a sink of hot water. It's a scent unlike any other that should be a mandatory summer essential. It's just that good and Yves Rocher obviously knows it as they've expanded the collection to include a whole of host of scented oil products. Read on for more! 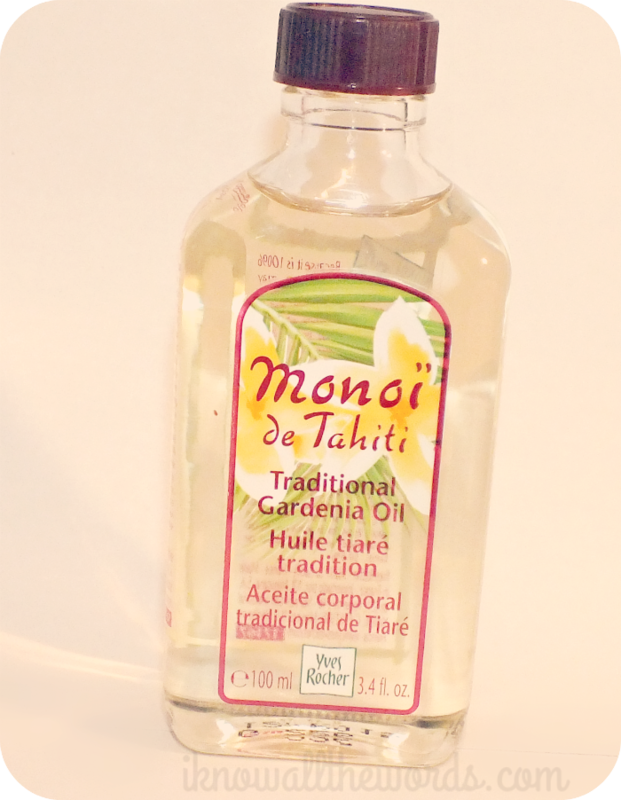 As I mentioned above, Tahitian monoi is made from Tiare/Gardenia flowers. What is interesting is the method in which the flowers must be harvested. It's a demanding process as the flowers must be kept intact- so as to preserve the fragrance- so the closed floral buds are picked by hand everyday at sunrise. From there they're assembled into packages of 100 and then wrapped in Auti leaves (which are similar to banana leaves) to keep them protected before the petals are removed by hand the same day. The oil is then made by macerating the flowers and combining them with coconut oil. Talk about dedication! The original do-it-all product. This oil moisturizes and softens anything it comes in contact with. You can use it on your skin- as bath oil, after bath as moisturizer, and it will even prolong a tan- or on your hair- as a pre-shampoo treatment or sparingly on damp hair for added moisture and shine. While this does leave skin soft and satiny, it's the scent that is so amazing. It's indescribable, but SO GOOD. You really have to try it, but I have yet to find anyone who doesn't love it. Not that it really matters, but it seems to drive boys a little crazy (in the best way)... just saying. 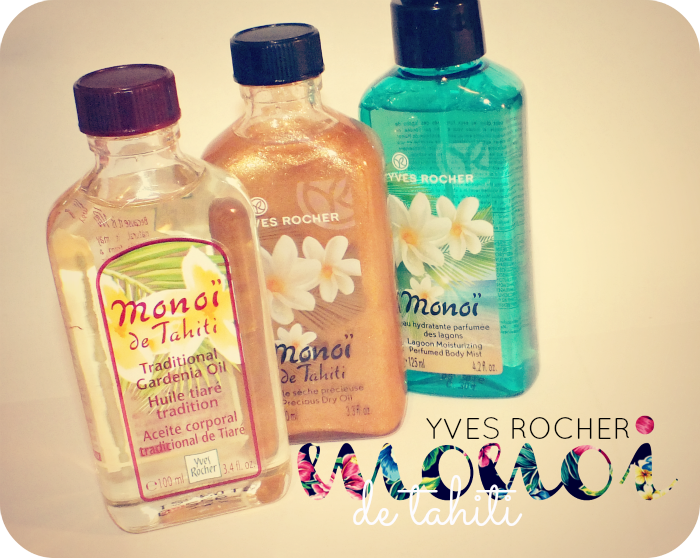 Also, Yves Rocher's blend is made up of 50.5% Tahitian Monoi and is paraben and mineral oil free. 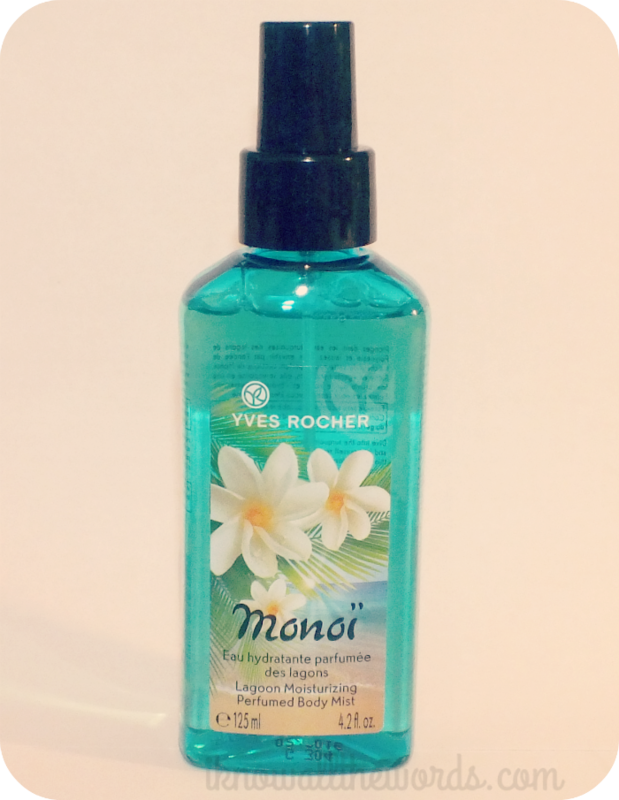 This body mist is enriched with organic Aloe Vera gel and with the Tahitian Monoi does double duty to not only make you smell ah-mazing, but also lightly moisturizes. It's alcohol free formula makes it perfect for anytime use to cool and refresh skin on those hot, humid days. Overall, I am a complete fan of these products! There is also a Dry Body Oil Spray and Hair and Body Wash available at Yves Rocher stores, and online at Yves Rocher if you need even more of this heavenly scent. 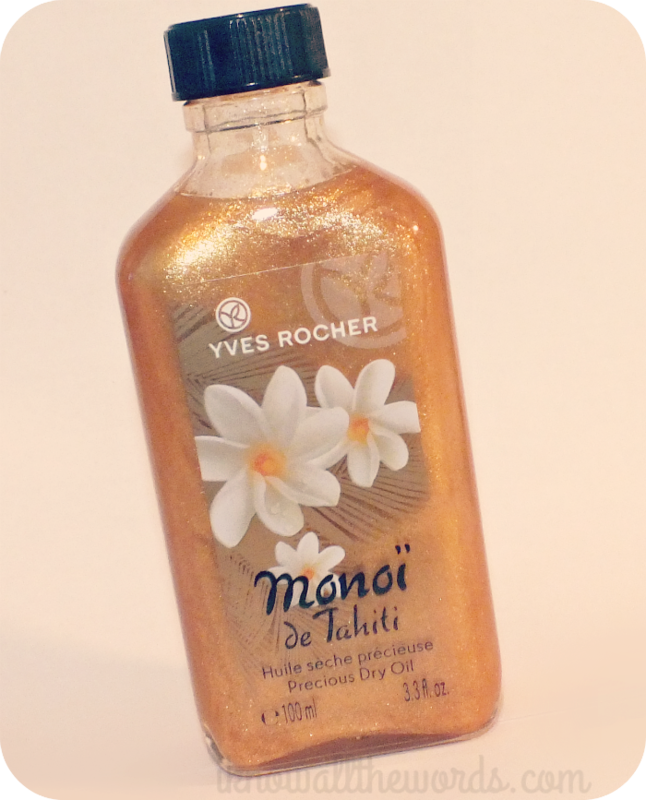 Have you tried Tahitian Mono? Do you have a go to scent for Summer?